Length: 4-6 mm. 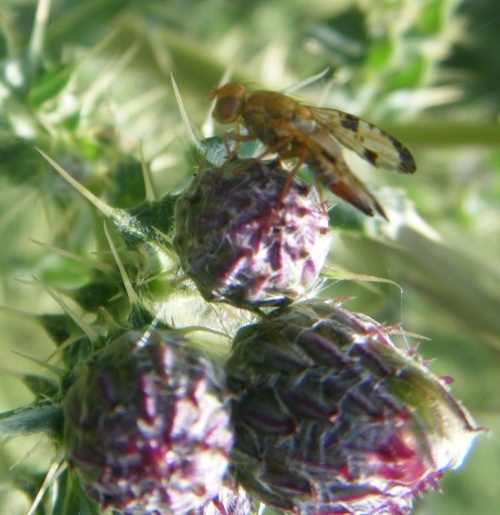 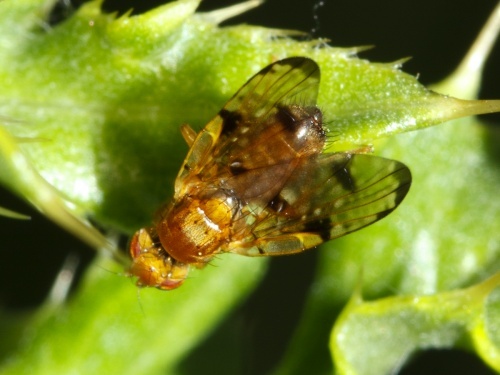 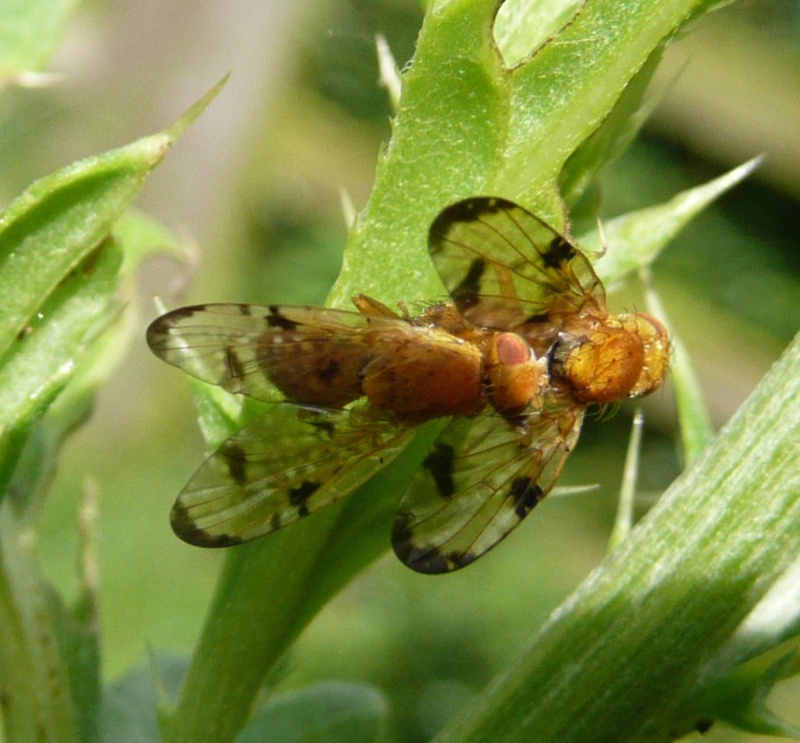 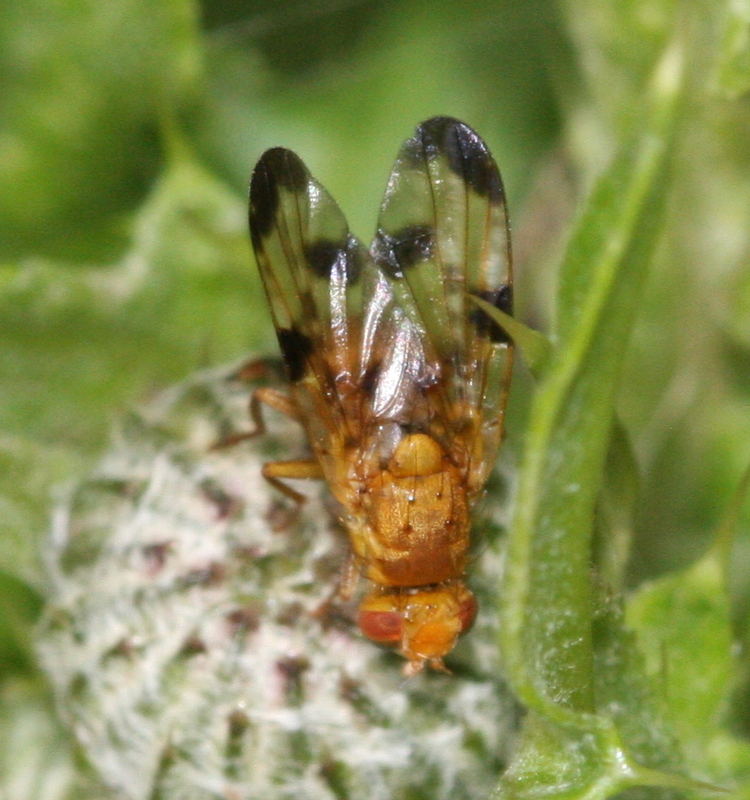 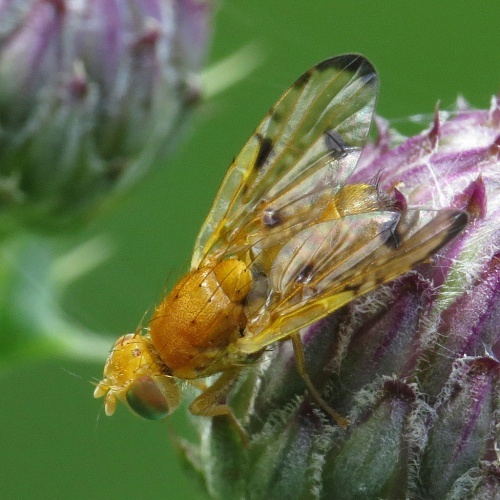 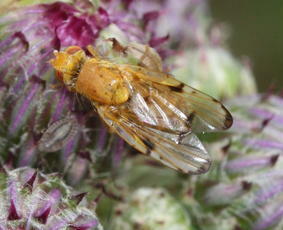 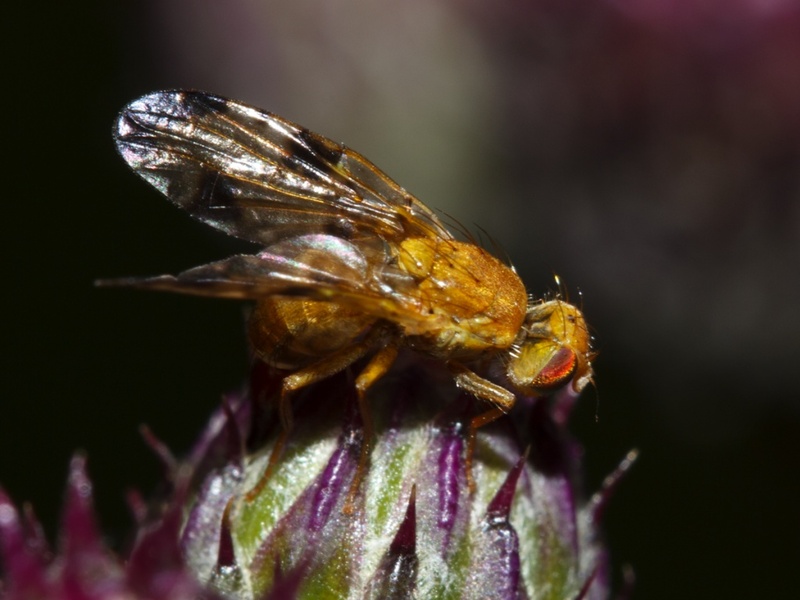 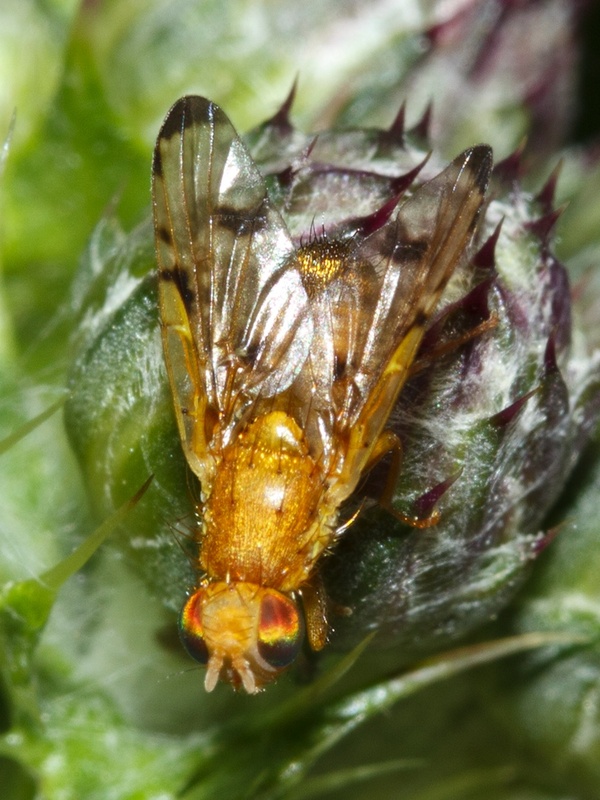 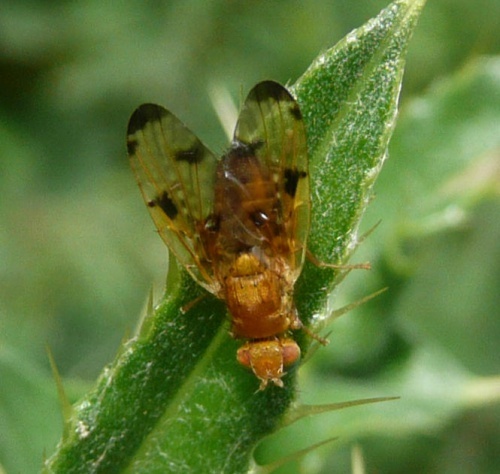 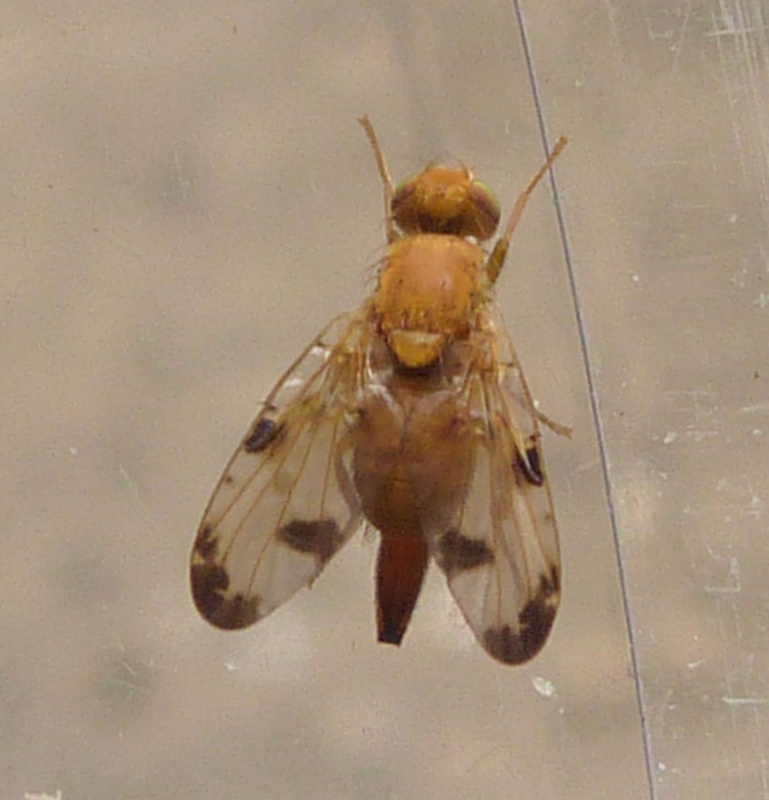 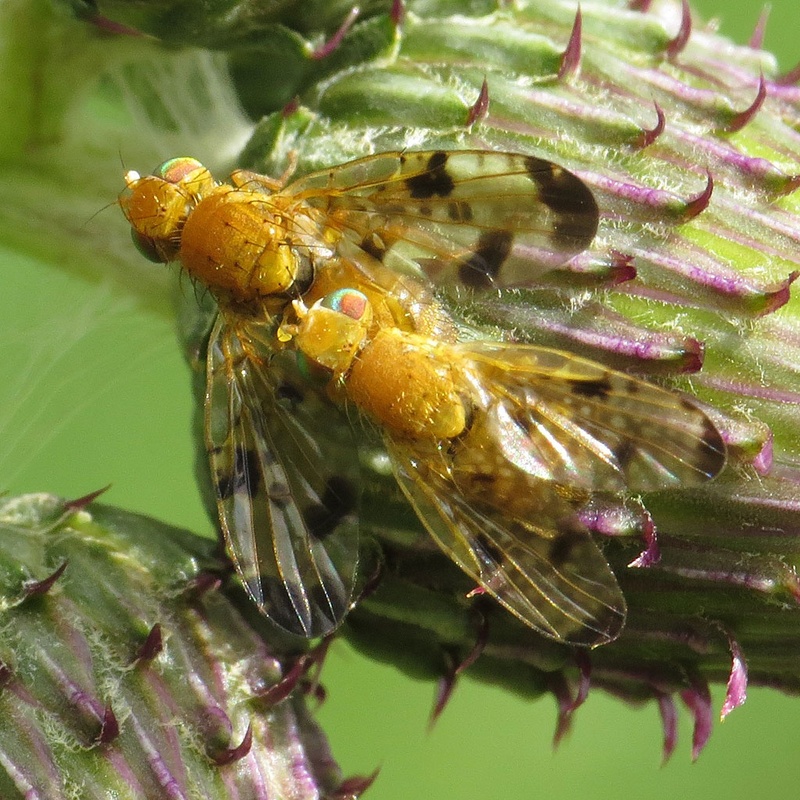 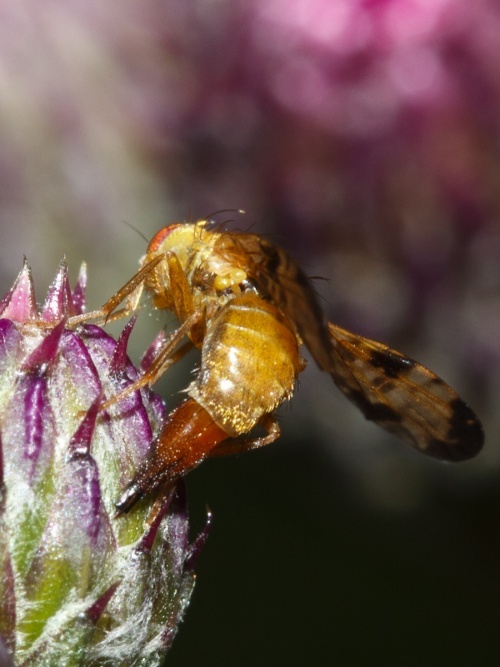 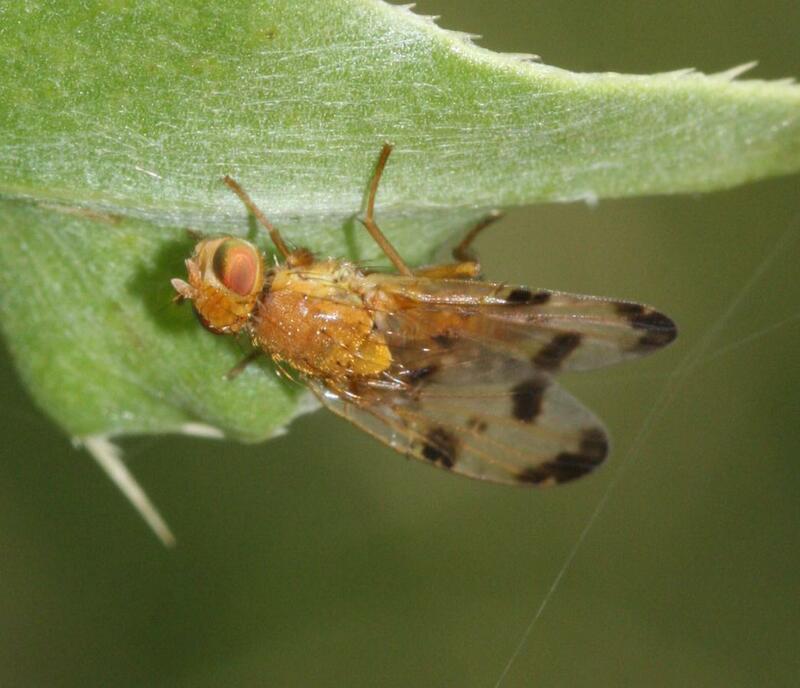 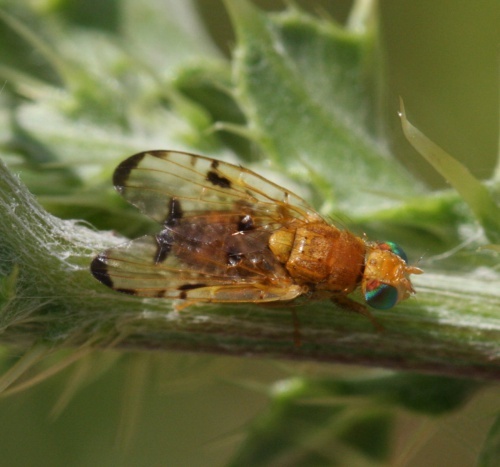 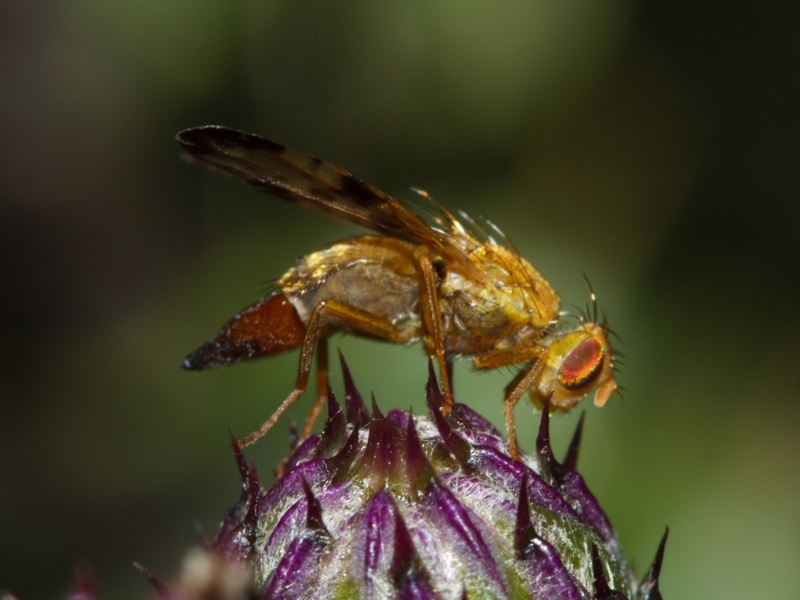 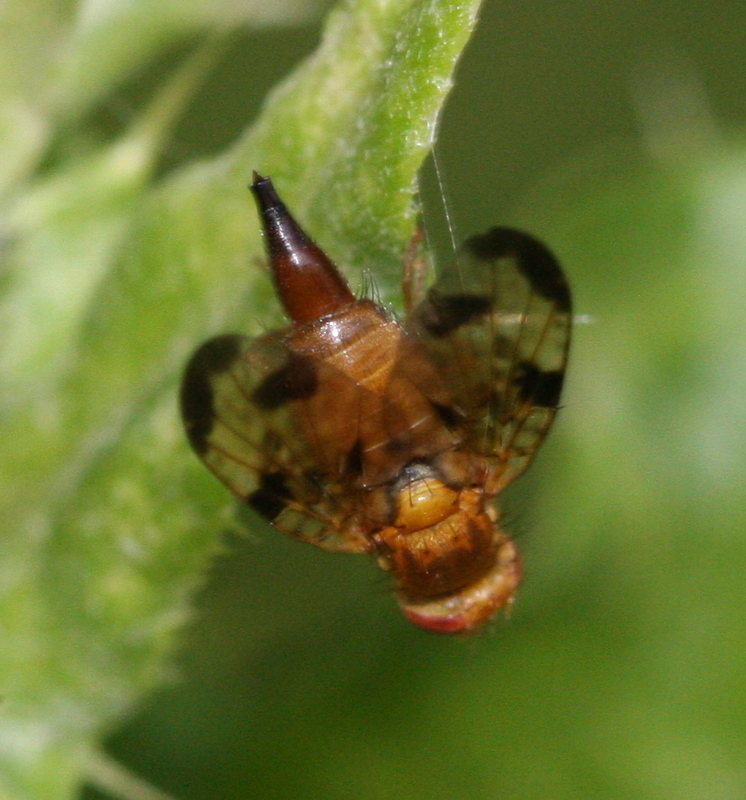 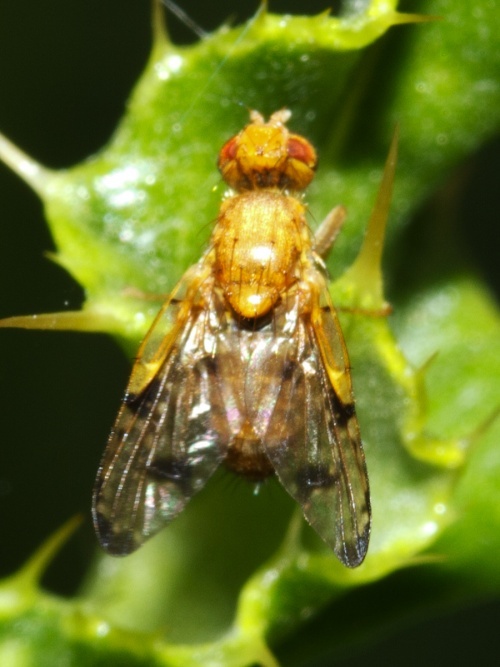 This fruit fly is mostly orange with black patterned wings, typical of this family. 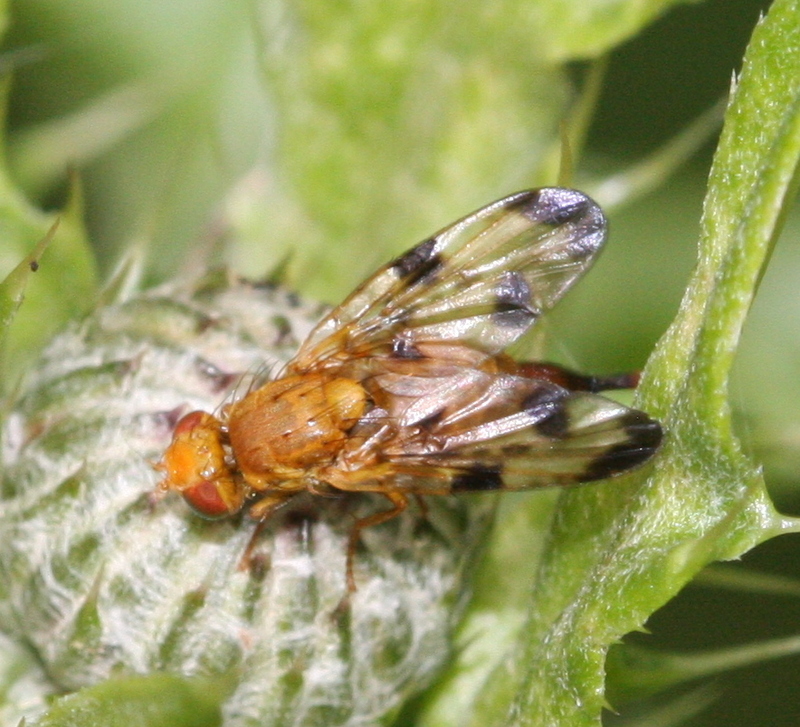 Found on thistles where it causes galls to form on the host plant.